Welcome to the first weekend in November, everyone. 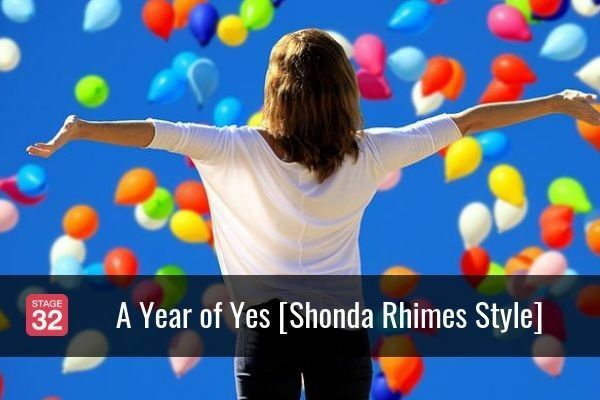 How are your yearly goals coming along? How about we absorb ourselves in some content and discussion points? I thought you’d might be up for that…Let’s roll. This month, we kicked off our second year of November Write Club! The idea is to make each day in November count by having our writers support and encourage one another. The goal is to get thoughts on paper, words on pages and, ultimately, projects completed. To read all about the details, Click here! Under ENTERTAINMENT AND INDUSTRY NEWS this week: 4 Ways the American Film Market Could Impact Independent Film This Year; AFM: Oscars Offerings Replace Genre Movies as Indie Industry Struggles; Hot 2016 AFM Titles: What Buyers Are Buzzing About; Sundance Institute Awards $1M To Documentary Projects; Casting Directors Under Pressure to Represent Today’s America in Film, TV; Doug Liman On The Challenges Of Shooting In The Virtual Reality Format and much, much more! 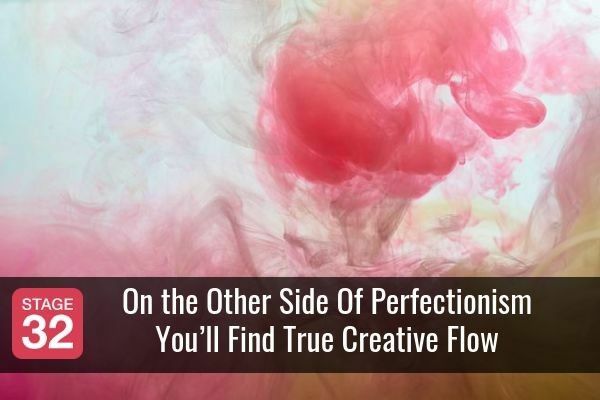 Under TIPS, I have a cool article on 8 Foolproof Productivity Hacks for the World’s Worst Procrastinators and Jeff Nichols gives advice on how to Train Yourself to Be Open to Ideas. A recap of everything happening around the network this week can be found under STAGE 32 NEWS. Care to be inspired by tales of member triumph? Check out STAGE 32 SUCCESS STORIES. Looking to hone your craft or further your industry experience? Check out STAGE 32 EDUCATION. Looking to take your networking to the streets? Have a gander at STAGE 32 MEETUPS. Looking to be visible, noticed, share your wealth of knowledge or simply just join a conversation regarding your discipline? We can make that happen as well. Check out MOST POPULAR AND INTERESTING LOUNGE DISCUSSIONS. As always, feel free (this is a demand!) to share your thoughts or participate in healthy debate on any of the content below in the Comments section. Have a terrific and creative weekend! Entrepreneur Magazine Names Stage 32 One of the Top 360 Privately Held Companies in America! - We want to share a really cool piece of news with the entire Stage 32 community. Stage 32 has been named by Entrepreneur magazine as one of the top 360 privately held companies in America. The magazine will be celebrating all the top companies at an event in Southern California in November. To hear where we ranked and a listen to some heartfelt thanks from our CEO, RB, please click here to watch the video! 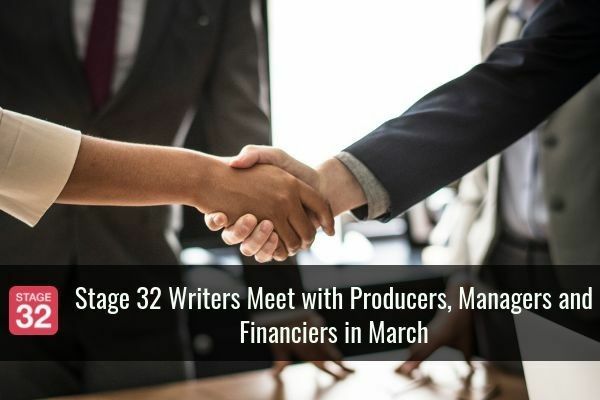 Stage 32 is the Official Networking and Educational Platform of the American Film Market (AFM) - We're extremely proud to be honored as the official networking and educational platform of AFM. AFM is, of course, the largest film market in America and one of the biggest in the world. All thanks to Jonathan Wolf and his incredible staff for recognizing Stage 32 and bestowing us this honor. How Not To Freak Out If You Lose A Crew Member Prior To Shooting Or During Production - Someone recently asked me if I’d ever lost a key cast or crew member during a shoot… and while telling the story, it occurred to me that it might be something worth sharing. After all, if you’re like me, you work in indie film where, very often, we’re flying by the seat of our pants and just trying to keep everything moving. So. I was in early prep on my second feature film as a producer and was getting ready to head to Massachusetts for the shoot. I wasn’t nervous about traveling to shoot in another state - my first film had shot entirely in Arizona though pretty much everyone on the film was from L.A. - but I knew that our ability to house cast and crew would be incredibly strained. My first feature, DAKOTA SKYE, was made, with rare exception, by our group of friends… meaning that people “bunked” up and did pretty much whatever we needed them to do to get that film shot. To read the entire blog and find out what a first assistant director does click here! November Write Club: Let’s do this—again! 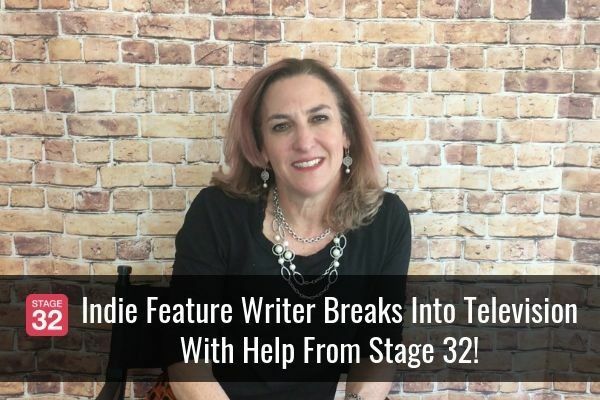 - Last year, my good friend, fellow screenwriter and valued Stage 32 member, Beth Fox Heisinger, came up with the idea of running a 30 Day Write Club for the writers on this platform. The idea was to make each day in November count by having our writers support and encourage one another. The goal was to get thoughts on paper, words on pages and, ultimately, projects completed. Hundreds of writers participated. Some quit, but a large majority made it to the finish line, enriched and emboldened by the experience. Today, Stage 32 and the Stage 32 Happy Writers present year 2 of the 30 Day Write Club. And Beth is back to kick the whole thing off once again. Click here and Let's get writing! Crafting Scene Descriptions: Make Your Prose Leap Off the Page! 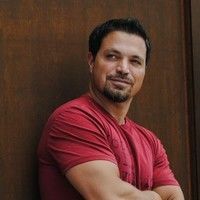 (On Demand) In this Stage 32 Next Level Webinar, professional screenwriter Steve Desmond will help you to elevate your descriptive writing to a professional level. 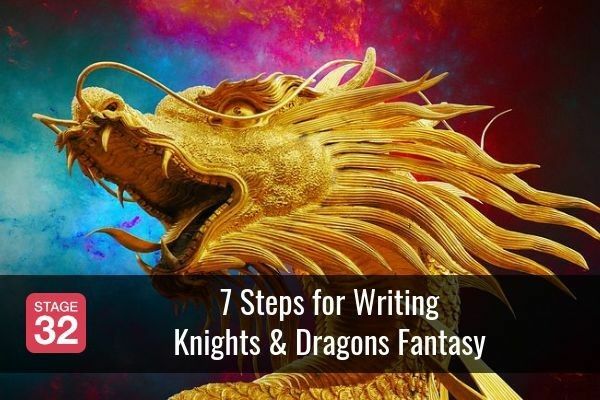 He’ll help you to develop the tone of your story right on the page, long before it hits the screen. Steve will dispel myths and go over how not to write scene description. Steve was voted for inclusion on The Tracking Board’s Top Up and Coming Screenwriters list, as chosen by agents, managers, producers, and executives. 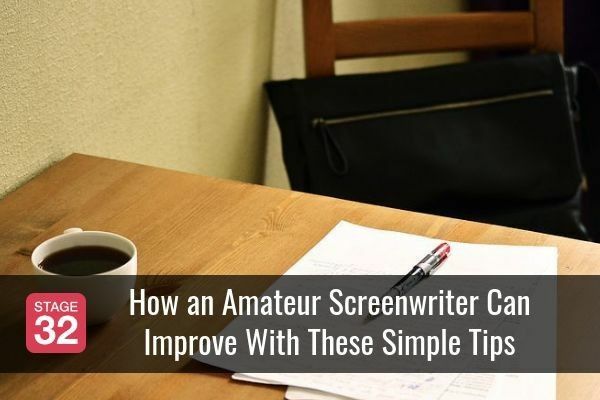 Whether you’re working on an existing script or getting ready to start a new one, this webinar will help you to unleash your potential in prose writing and make the most out of every word in your screenplay. Live Q & A with Steve! Click here to review all of the details of this amazing webinar and register now! Planning Your Film's Festival Strategy (On Demand) There are thousands of film festivals around the world – and tens of thousands of filmmakers trying to get into them. So what to do with your film? Jon Reiss wrote Think Outside the Box Office and has advised hundreds of filmmakers on their festival and distribution strategy. In this webinar you will learn how to create a film festival strategy for your specific film, how to use festivals to benefit the release of your film, how to be smart once you have been accepted into a festival and make each festival work for your film and career. If You Are Accepted Now What? How can you best take advantage of a film festival? What if I didn’t get into any film festivals – what do I do? Plus, a live and interactive Q&A session with Jon! To get details on all these topics and register, Click here! Animation Writers Lab: From Bible, to Script to Pitch (Nov. 30 & Dec. 16) Daniel Stellan Kendrick (Manager at Chatrone, LLC) will take a limited group of 20 animation writers through the development process of professional writers. This process will cover everything from creating concept, to writing a bible & script to pitching a project like a seasoned pro. Daniel will take you from a concept/premise and work with you to develop the following materials: a pitch bible and an animated script based on that bible. At the end of the lab, you will practice pitch your show to Daniel as if you were at a production company. Throughout the process, you will be guided to develop the correct tools and prepare the best show possible. Once you complete the lab, you will have all the tools, samples, and materials to enter the market as an animation writer. In this class, we'll delve into the inner workings of a Pitch Bible for an animated show. Pitch Bibles are the foundation of your show. It's the blueprint of the animated series. We'll discuss: what's in a pitch bible; what makes a bible strong; how does the bible set up the series; tips and tricks to enhance your pitch bible. In this class, we'll take the bible you developed in the first class and write a script for the series. We'll talk about how to choose the perfect premise for your pilot, how to integrate your bible into the script, and formatting, story, and structure techniques in an animated script. 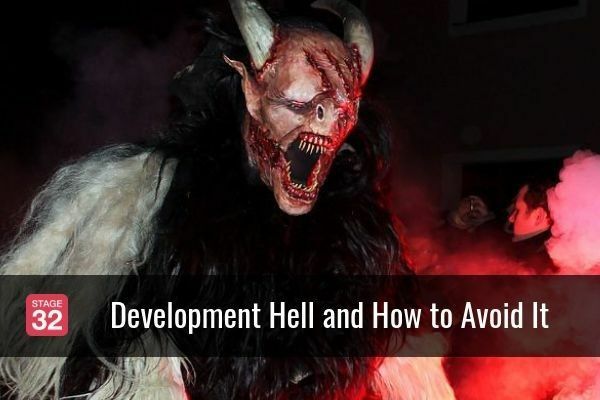 Finally, we'll go over effective ways to use your bible and script when pitching and moving forward through the development of your project. By the end of this class, you will have a pitch bible and original animated pilot -- every tool you need to prove yourself as animation writer! To benefit from this amazing class and register, Click here! HAPPY WRITERS CONSULTING SERVICES - Have you completed your script? Need advice on what to do next? 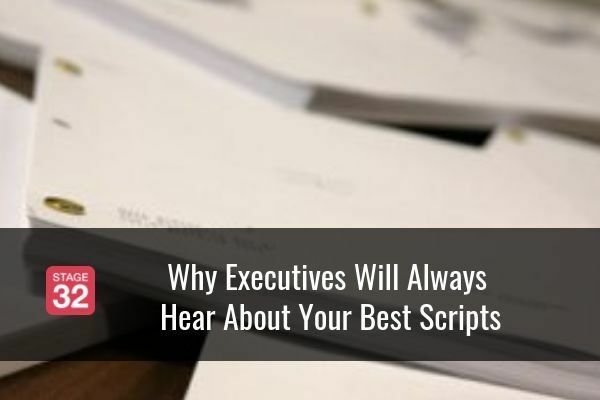 Do you want an executive to review your script and give you feedback? Happy Writers provides consulting services where you can have a Development executive, manager, agent, producer of your choice and give you feedback on your work. If you are interested in these services, click here! Steve Longi - Founder/Producer, Longitude Entertainment Saturday, November 5th · 11:30 - 1:10 PM PDT - Specializes in action, biography, comedy, crime, horror, and thriller features. Robert Moeller - Producer - Saturday, November 5th · 1:30 - 3:10 PM PDT- Specializes in all genres, all formats. Ryan Levee - Coordinator, Agency for the Performing Arts (APA) Saturday, November 5th · 2:30 - 4:10 PM PDT Specializes in action, thriller, sci-fi, biopic, and animated features & TV pilots. Brandon Drea - Assistant to Agent, United Talent Agency (UTA) Sunday, November 6th · 10:30 - 12:10 PM PST Specializes in comedy features & TV pilots. ACTING: To have or not have professional headshots? ACTING: What's Your Brand Signature Emotion? ACTING: What are some good monologue topics ? ACTING: Paying Gigs vs. 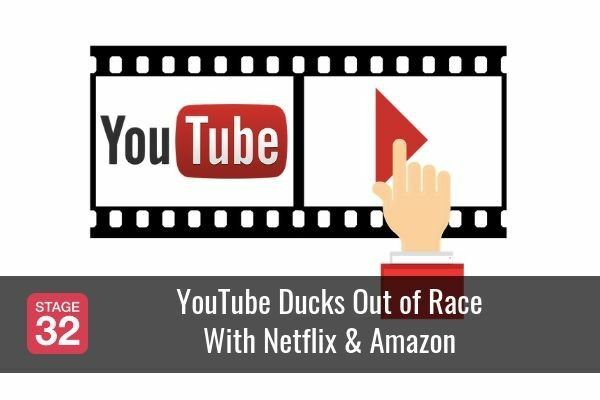 Unpaid "Art"
ANIMATION: Average Cost of Animation Episodes? CINEMATOGRAPHY: Still hungry... What would you add to this list? COMPOSING: Best VST/Sound design for Ambient textures? DISTRIBUTION: Best sales agent in New York City or New England? DISTRIBUTION: Better place to be a film maker - Hong Kong or New York? FILMMAKING / DIRECTING: Editing for idiots? ON WRITING: Curious about something! POST-PRODUCTION: How much for a sound mixer / editor? PRODUCING: I am a Producer! What does it mean and take to become one.